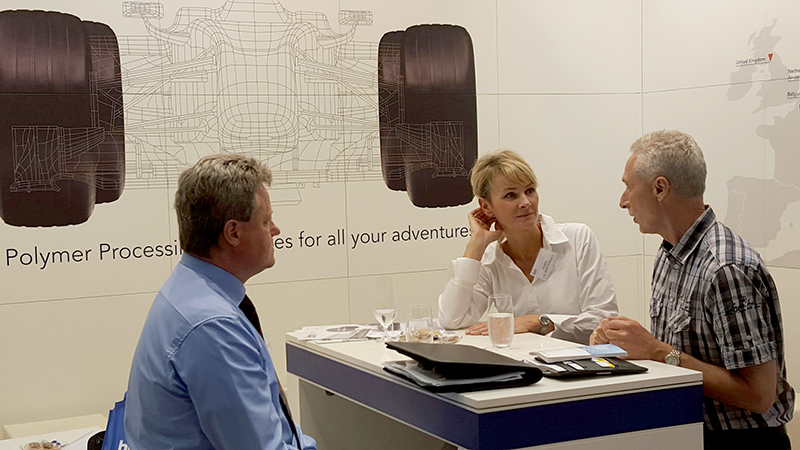 DKT/IRC was held in Nuremberg Germany from June 29th – July 2nd 2015 which is considered one of the most significant European Rubber fair. 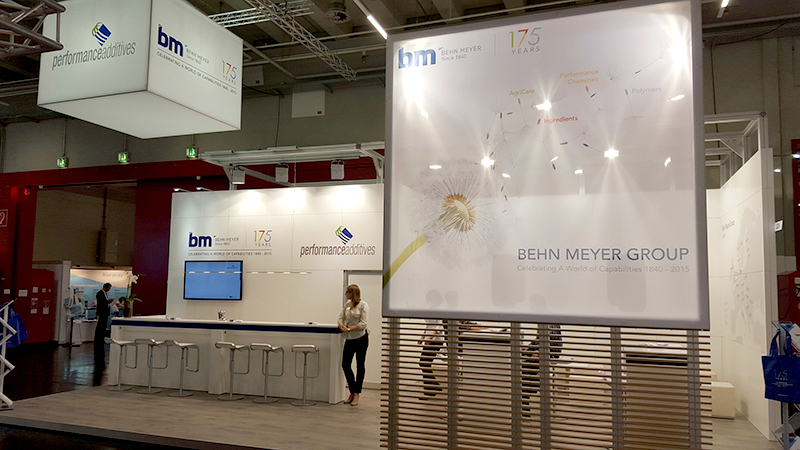 Behn Meyer Europe GmbH, together with Performance Additives attracted many visitors by being the largest booth at the exhibition. 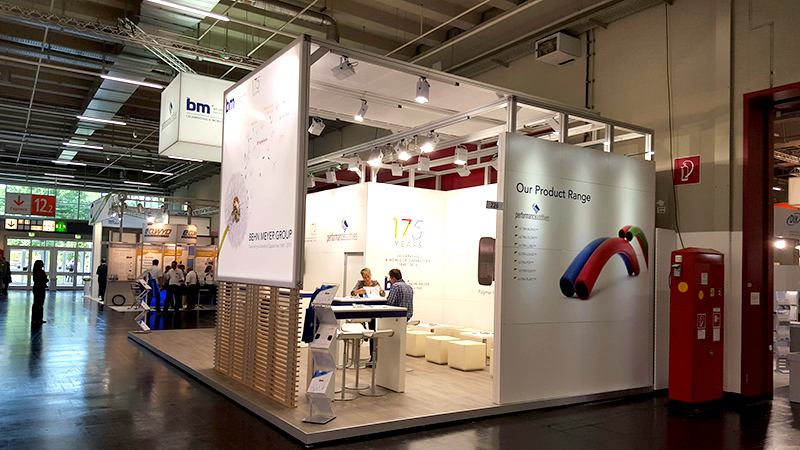 Over the past years, Behn Meyer Europe GmbH Rubber Group has developed into a truly recognized pan-European distributor for specialty chemicals and rubber. 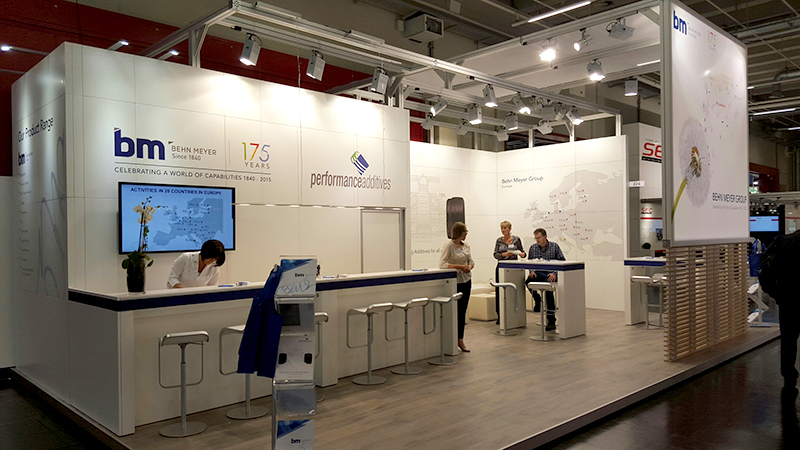 We received numerous positive feedback about our presence in the global market and our product range, which includes acknowledgement from the board of the German Rubber Association (DKG). 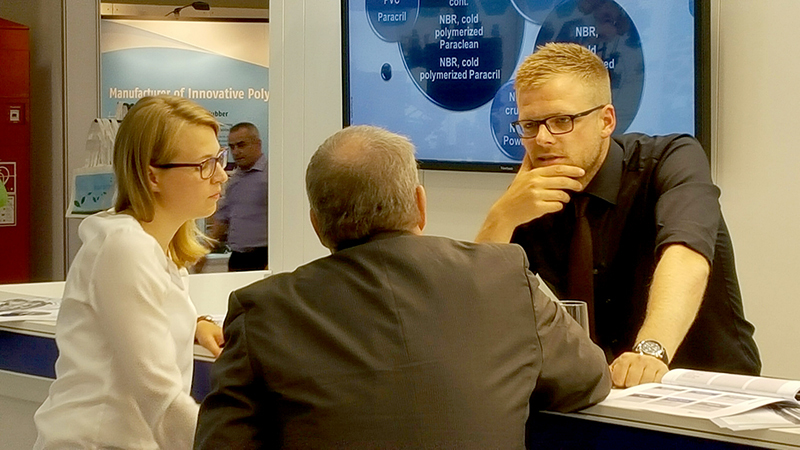 There were a lot of fruitful discussions with customers and suppliers during the three-day event. Many new ideas, customers and orders were also gained. 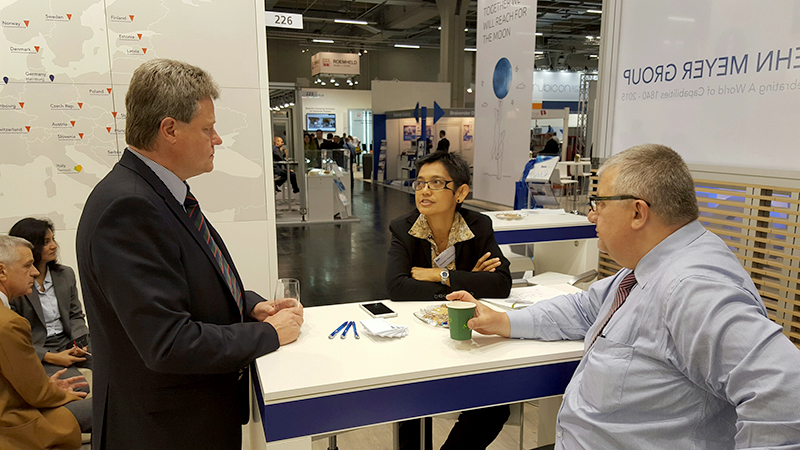 This exhibition has helped us to strengthen the relationship with our customers. We are looking forward to the next fair in year 2018.